Newcastle United today confirmed the signing of Hatem Ben Arfa on a permanent deal from Marseille. The France international has signed with the Toon Army on a four-and-a-half year contract despite only making four appearances for the club since signing on loan in January. Ben Arfa is currently recovering from a double leg fracture suffered in the game against Manchester City in October, but he becomes Alan Pardew’s first signing as Newcastle boss. And while Pardew targets more signings in the January transfer window, he will also have to work hard to keep Andy Carroll at the club as Tottenham Hotspur target a move for the striker. 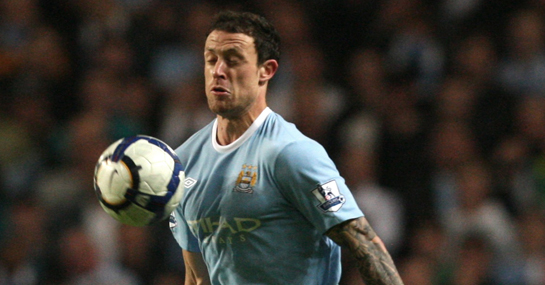 According to the Daily Mail, the Newcastle United boss – who joined last month following the sacking of Chris Hughton – is hoping to bring in Manchester City full-back Wayne Bridge and Tottenham Hotspur striker Robbie Keane. Keane has been out of favour at White Hart Lane since failing to rediscover the form that saw him move to Liverpool for over £20 million in the summer of 2008. It’s understood that Newcastle want to take the player on loan now before making the deal permanent in the summer with a £4 million payment. The Magpies are not thought to be pursuing a permanent deal for Bridge – probably because of his outrageous £95,000-a-week wages – but hope to secure the left-back on a season long loan. Elsewhere, the Daily Mirror are reporting that Pardew is also keen on bagging out of favour Spurs winger David Bentley. With David Beckham rumoured to be heading to North London, first-team opportunities are going to be even more limited for the player. However, whether the perennial Spurs bench-warmer would be willing to move north for more football but less money is another matter. A £10 bet on Newcastle to beat West Ham 2-0 pays out £60. New Ladbrokes customers can sign up here for a free £10 bet.